Wren retains many of the prairie and oak woodland characteristics that were common prior to European settlement. Much of the area is designated critical habitat for Fender’s blue butterfly and Kincaid’s lupine (U.S. Fish and Wildlife Service 2006). In 2006, the Wren population of Fender’s blue butterflies was documented to be the largest in Benton Co, second largest only to Baskett Butte in the entire Willamette Valley. The endangered Taylor’s checkerspot butterfly also inhabits the Wren area. The draft Benton County Prairie Species Conservation Strategy states that Wren’s population of Fender’s blue butterfly can function as one of the two population networks needed in the Corvallis Recovery Zone for downlisting and designates Wren as an area of high priority for prairie conservation. A large network of private landowners in the Wren (Cardwell Hill) area are voluntarily participating in this conservation effort. 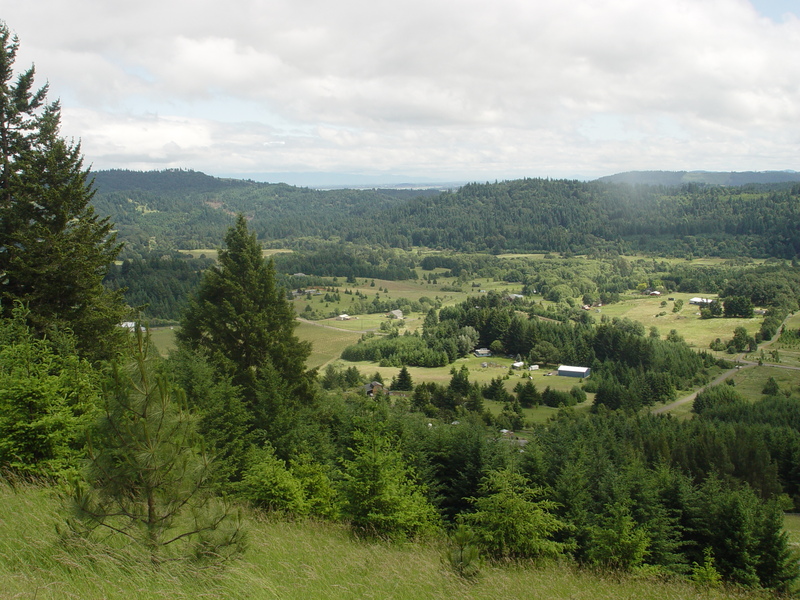 Since 2005, in partnership with US Fish & Wildlife Service, Oregon Watershed Enhancement Board, Oregon Dept of Fish & Wildlife and Willamette Habitat Restoration Fund, Marys River Watershed Council has worked with over 30 private landowners in Wren to restore over 60 acres of prairie, oak savanna and oak woodlands. Restoration efforts have included removing woody vegetation (such as conifers and non-native shrubs), mowing to reduce thatch accumulation, controlling non-native invasive grasses (i.e. false brome, tall oat grass). Most recently efforts have focused on expanding nectar sources and host-plants (Kincaid’s lupine) by planting thousands of native wildflower seedlings, bulbs and seeds. The Guide to Conservation of Natural Habitats was produced in 2011 as a resource for local landowners. It is available free for all Wren area landowners through the Wren Community Club http://wrenditions.org or the Watershed Council.